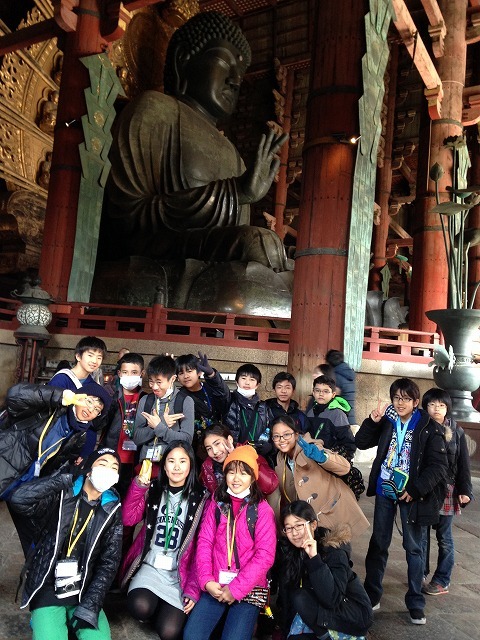 Wednesday was the first day of the sixth grade school trip! The kids had a busy day with an early start! They gathered at the airport in Naha at 6:30am and haven’t slowed down since. 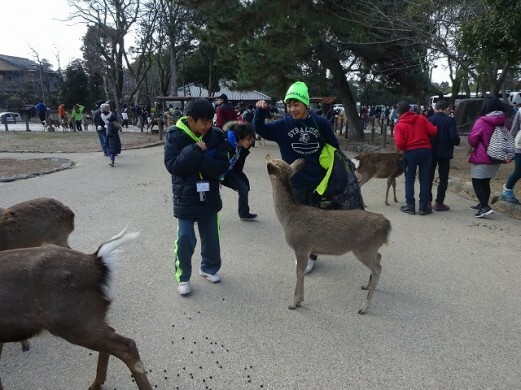 The first stop was in Nara to visit the Todai Temple and Nara Park. 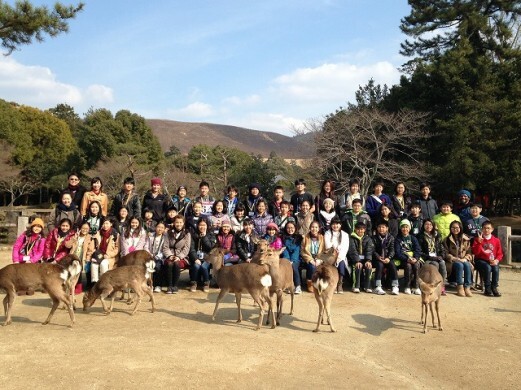 The students enjoyed many up-close experiences with the local deer. 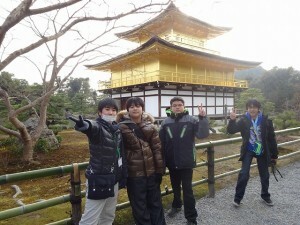 Then it was off to the Kinkakuji Temple in Kyoto to view the beautiful golden temple. 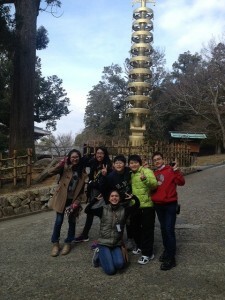 It has been great for the students to get to see the places that they have studied in social studies. 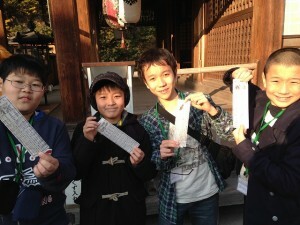 The students have been very well behaved and able to discuss what they have learned from class. They are showing off their Amicus charm to the mainland!